My paternal ancestors were marranos and chuetas (Anusim; Meshumadim, geshmat, conversos, New Christians etc.) I found this out and I’ve practiced Judaism for two years now. I’m still “on the fence” about making a full conversion to Judaism, though that is likely in my probable future. Prior to this, I approached anti-semitism mainly as an academic subject, a quaint legacy of past generations. It pains me to admit this now, but I really felt that way. I understood prejudice towards non-whites, though I vehemently disagreed with it, but I found prejudice against Jews to be antiquated and bizarre because I considered Jews white. But now- oh boy, when I told people I wanted to convert to Judaism (and I still want to!) I got a rude shock, a cruel lesson that anti-Semitism is still alive and well right here in 21st-century U.S.A. Everyone gleefully took the chance to pelt me with opprobrium. So-called “friends” came out of the woodwork; devout Christians tried to convince me Christianity was right and I was making a grievous error of choosing the “wrong” religion. Devout Italian Catholics like those with whom I’d been raised, told me I would never be accepted by the Jews and that I was “betraying my race”. Devout Muslim friends simply stopped speaking to me altogether, or passed me on the street without seeing hello as though I had acquired a new and highly contagious disease. A few brave Muslim souls seized on the fact that I can sing in Arabic, and attempted to teach me ‘tajwid (Koranic recitation), but needless to say they were not successful. Interestingly enough, many secular Jews also added fuel to the hate-fire. They are convinced that Judaism has no value and fail to see its appeal to an outsider like me. By and large, though, my reception into the local Jewish community has been warm, accepting, and understanding. Judaism is a treasure trove for deep-thinking people like me who want meaning out of life and are disgusted with the shallowness of contemporary culture. But I must say it has produced a bifurcation in me. As a Christian I was not strongly pro or anti-Jewish either way. I had Jewish friends, but I was a Catholic, smugly convinced that Catholicism was the “right” religion, and I despised Protestants. Now, as a Jew or a soon-to-be-Jew, anyway, I see the entire enterprise of Catholicism and Christianity through new eyes- for that is just what it was. 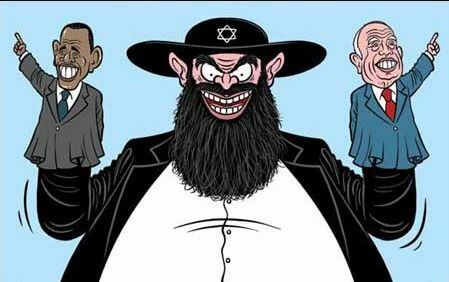 A business enterprise, designed to diverge from Judaism, to court the political influence of Rome, to mix in pagan beliefs and practices in order to appeal to the masses, to subjugate, enslave, coerce, convert and murder millions of people, including Jews. I recently received a rosary from the cathedral of Notre-Dame in Paris, for instance. A Catholic friend purchased it for me hoping it would incite me to renew my Marian devotions. But the cathedral of Notre-Dame has a picture of Ecclesia- the militant Church- destroying Synagoga- the Jews. Medievals were fond of allegory and this was a common one; but I have reached a point now where I cannot say “Oh, look, a beautiful rosary!” I literally cannot glance at a rosary now without thinking of Jews being forcibly converted or beheaded. If I read a Christian author or book I always think, “But what were his views on the Jews? Was he good for the Jews?” I guess it’s a “Jewish consciousness” I have now; if I dare post anything pro-Jewish or pro-Israel, I am immediately pounced on. Antisemitism is terrible, and as you say, getting worse. And conversion is a tough channel of water to navigate, but hopefully I’ll be a ger tzedek someday! 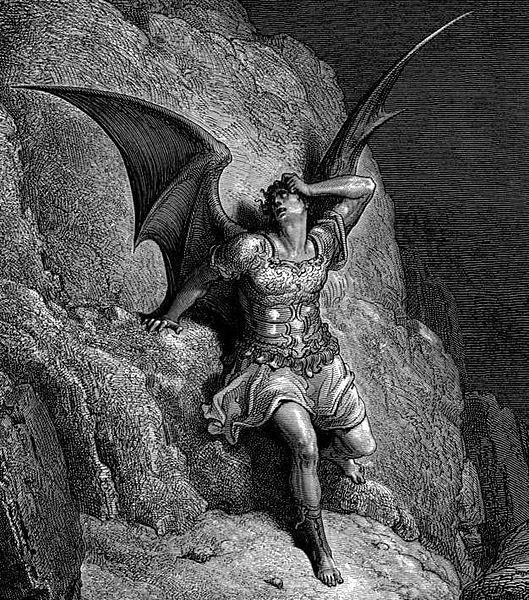 Antisemitism is getting worse, so I added Gustave Doré’s Lost Satan (illustrating Milton’s Paradise Lost) to the ending. Evil as an independent force in the universe is an essential part of antisemitism of all kinds. Joshua Trachtenberg was onto this in 1943 when Yale UP published his concise book The Devil and the Jews (Yale UP, 1943). It has been republished. Good considerations above. After the Army and completing school, I took a 9 to 5 job that would let me go to grad. school. It was with a Jewish owned and largely operated company doing something of interest to me (I’m WASP). Despite all I had heard I ignored it because my oldest, non-relative friend, predating grade school, was Orthodox. WOW, did I get an eyefull. creative. It was the 25%, +/-, of what I’ll call “traditional” Jews. They treated others, including other Jews, with utter contempt and their finest momemts came when bullying and destroying those vulnerable to them. I think it the frequent and highly visible attack against national values and collusion among them that stirs their rejection (Soros hunting other Jews for the Holocaust; Bloomberg,Feinstein, Schumer, etc. attacking our Constitution). Look up “AntiSemitism” to see a large argument on this going on among Jews themselves. Half say not living according to the Torah energizes anti-semetism, more say it’s white bigotry; still more recognize persistent traditional cultural contempt for others. Someone quotes Albert Einstein as saying, “Anti semitism is a reaction to Jewish behavior”. I think Al is a pretty astute analyst. This is exactly the kind of nonsense that all “Jews”–secular or religious, it matters not– are up against.